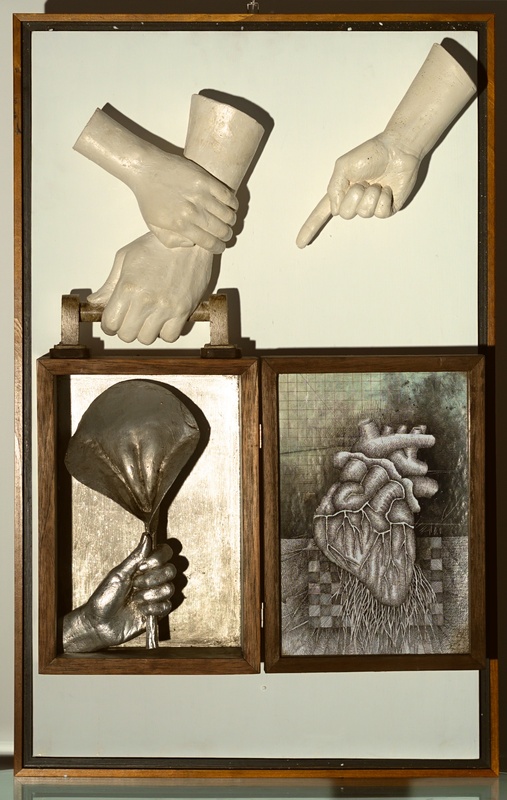 Felipe Herrera is a Venezuelan visual artist who was born in 1947. 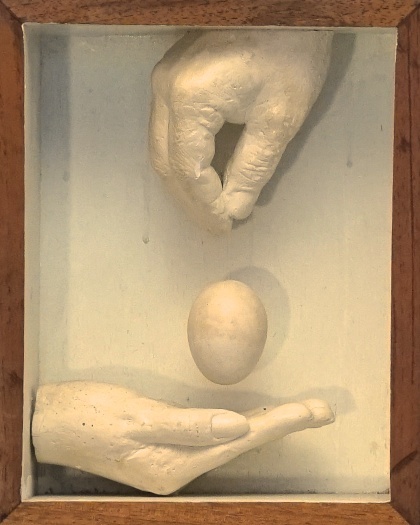 From 16 years of age he began to build his artistic personality exploring the world of totemic sculpture and achieved early success, participating in prestigious salons nationwide, one of his first exhibitions took the name: Sculpture and its Possibilities. Later, he studied art at the Cristobal Rojas School graduating in 1967. 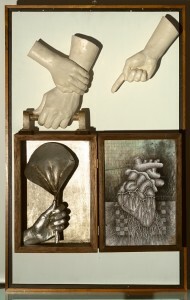 During the 1970s, Felipe Herrera investigated the art of drawing, illustrating magazines, pamphlets, political cartoons and theatre programmes, and won several awards. 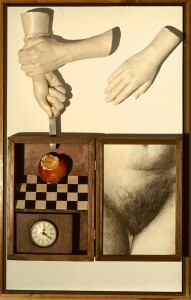 The pictorial elements that define him as an artist, boxes and symbolic puzzles, developed in this period. Herrera creates an iconography of human figures and horses, which are represented by showing their veins, muscles and tendons set with architectural elements in interior landscapes and the presence of an eye assuming various positions turns his gaze to an observer. 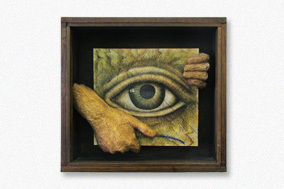 His sculptures are an insatiable quest to communicate with symbols and codes. The baroque style of his work and the theatrical nature of his compositions take advantage of the possibilities of two-dimensional and three-dimensional resource space. His recent work can be described as symbolic realism with surprising and plural intricate constructions with elaborate frameworks that live inside the work-space explorations. More than a surrealist, Felipe Herrera is a humanist, steeped in fantasy ‘symbolic realism’ and magic.